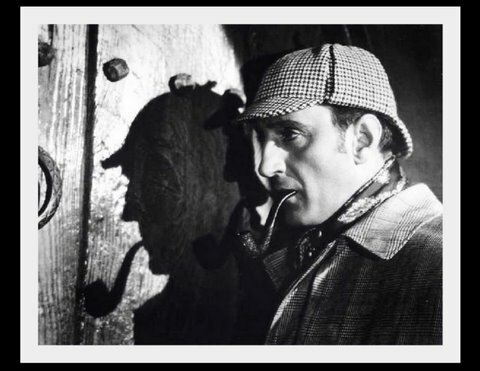 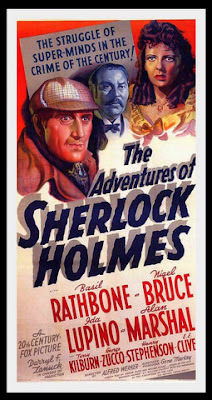 The gifted actor BASIL RATHBONE portrayed Sir Arthur Conan Doyle's famous sleuth in fourteen features released between 1939 and 1946. 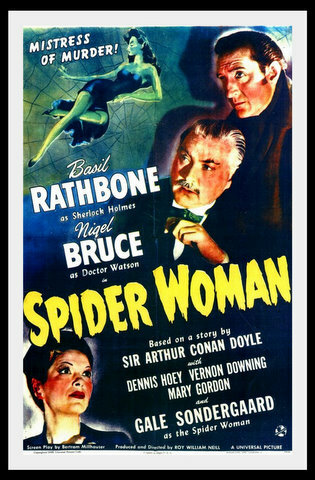 NIGEL BRUCE and MARY GORDON, as Dr. Watson and housekeeper Mrs. Hudson respectively, appeared with RATHBONE in all fourteen films. 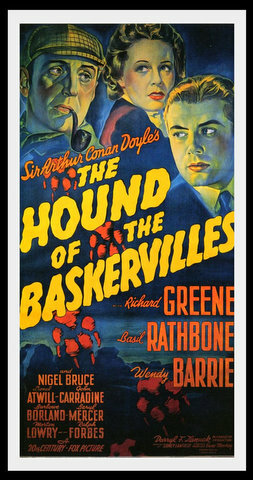 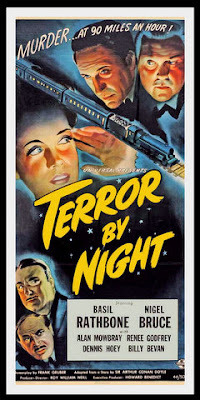 The first two entries were produced by 20th Century Fox and set in the proper Victorian era, just like the Doyle novels. After a three-year hiatus, the series moved to Universal Pictures and was set in then-contemporary 1940s settings. 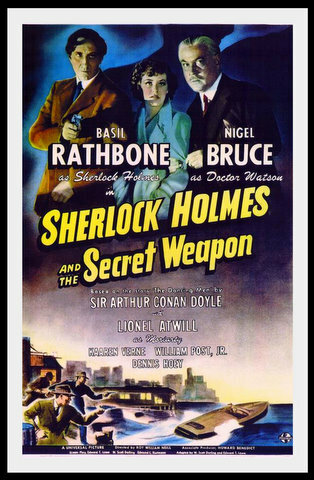 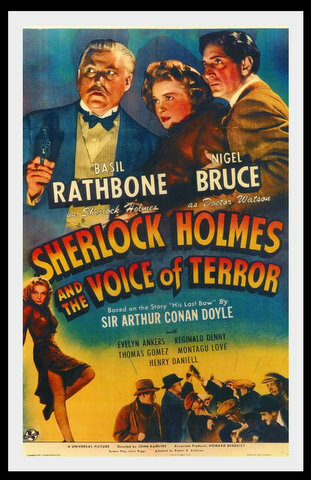 Rathbone and Bruce also made numerous radio recordings as Holmes and Watson. 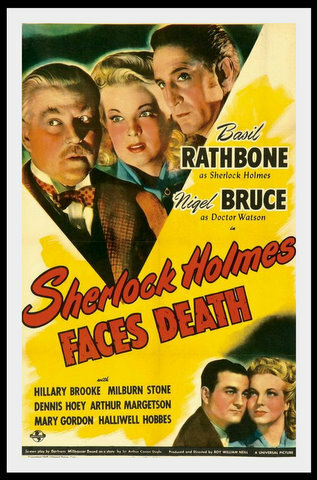 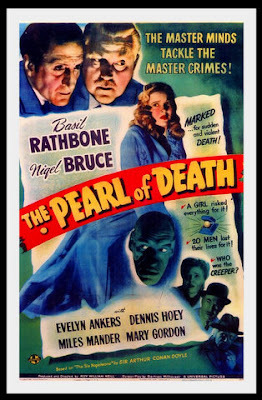 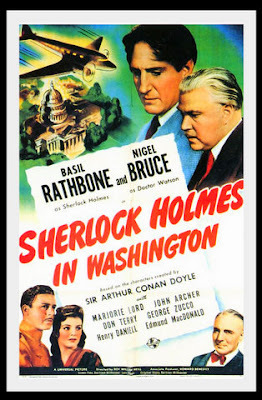 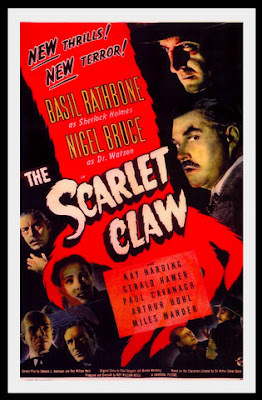 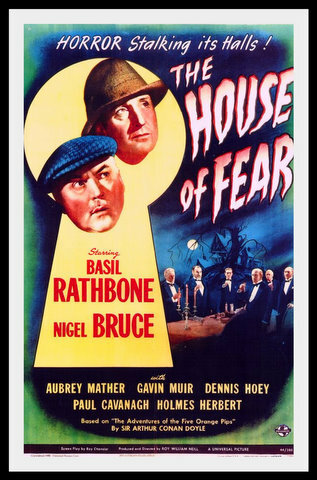 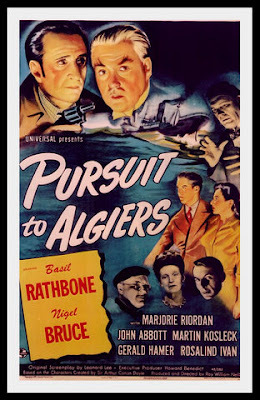 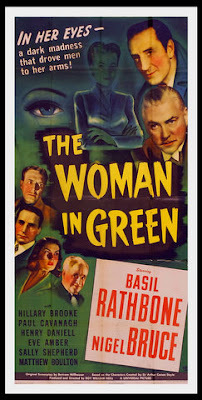 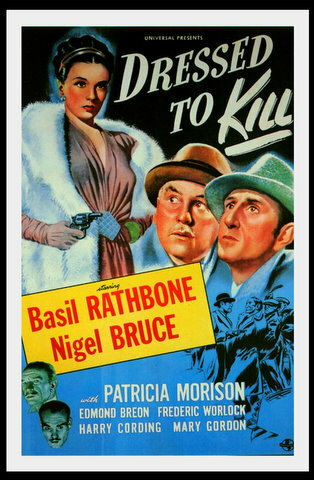 By 1946, Rathbone had tired of the role and, in spite of Bruce's urging, refused to continue, and the film series was concluded.